Windows Explorer has some hidden animations built in that you’ve never seen. Unless you use AniExplorer, in fact, you’ll never see them. As you can see, it’s easy to change animation speeds as well as animation types. Scrolling is, oddly enough, something that each user likes to have different. Some prefer the side-scrolling present on many laptop mice; others prefer two-finger scrolling; yet others prefer mouse wheels. However, none of these groups ever stops to think about things they can do while scrolling. Say you’re writing a huge paper or essay on some important topic in Microsoft Word and you want to read Wikipedia in a background window. Normally, every time you want to scroll down on the Wikipedia page, you’d have to bring its window to the front, scroll, and switch back to Word. Wouldn’t it be great if you could conveniently scroll the Wikipedia article without having to place it awkwardly in front of your Word document? WizMouse lets you do that. It lets you scroll in background windows while you have other programs in the front, and it lets you even optionally bring them to the front when you start scrolling them. It also lets you play around with scrolling a bit more. For instance, if you’re used to using Mac OS X and want reverse scrolling, it lets you enable that with a single check box. WizMouse is master of all scrolling options, and if you’re interested in customizing your computer, is a great way to make scrolling better. 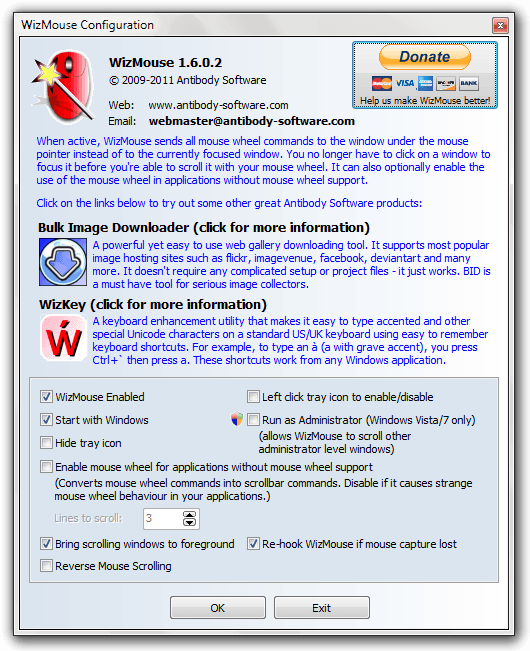 Note that WizMouse may not work properly on built-in laptop trackpads. In fact, I couldn’t get it to work on my built-in mouse and had to plug in a USB mouse to get it to work. This is because laptop mice often send signals in different ways than USB mice. 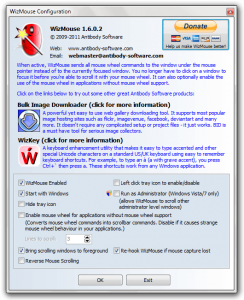 However, some trackpad makers include in their driver settings the ability to scroll on windows that aren’t selected, so it is worth a shot to look inside Mouse settings. Bing.com has some beautiful wallpapers. However, since only 30% of people use Bing as their primary search engine, they often get wasted for nothing. Don’t let that happen! 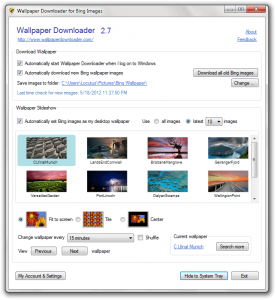 Use them as your daily wallpaper with Wallpaper Downloader. 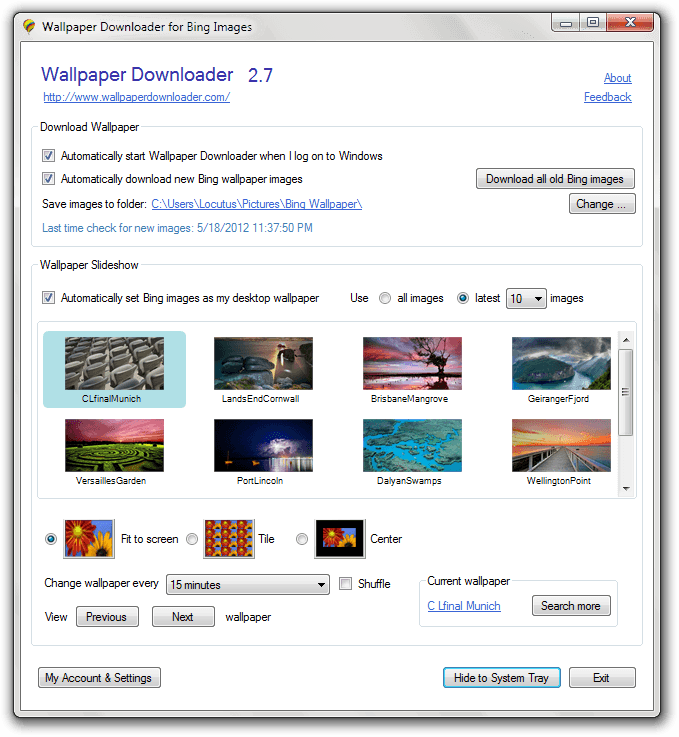 With Wallpaper Downloader, you can set up recent Bing images to be a wallpaper slideshow. You can choose how frequently it’ll change the images and how many of the recent images to choose from; however, no matter what you choose your computer will always look great. If you’re looking to get the beautiful Bing backgrounds on your personal computer, Wallpaper Downloader is a great way to do it entirely automatically. What’s not to like? Note: at first run, it asks you to create an account, which you’ll need to do to use WD. However, it does not validate email addresses, so I recommend using a fake email account such as 123@fake.com.